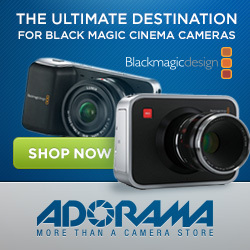 Hybrid Camera Revolution: Blackmagic Pocket Cinema Camera Boxed & Ready to Ship! Blackmagic Pocket Cinema Camera Boxed & Ready to Ship! To whet your appetite even further, here is a new downloadable (and gradeable) ProRes BMPC file from John Brawley (you might have to wait a while - so many people have tried to access the file that Dropbox has temporarily disabled the link).